Our £8.5 million Doug Ellis Sports Centre boasts an 80-station fitness suite, an eight-court sports hall, and workout and spinning studios. The centre offers state-of-the-art fitness training equipment and plenty of room for team sports including five-a-side football and cricket. An all-weather pitch adds the finishing touches to the centre, which is located close to our City North Campus. The fitness suite is an Aladdin’s cave of equipment designed to work on different areas of the body or to build up stamina. The Octane is a state-of-the-art cross-trainer preferred by American footballers and the first of its kind to be installed in the UK. There are also spinning machines that can be set to a fat-burning programme based on age, weight and height, and which have headsets allowing users to follow an automated training session. Staff are on hand to offer advice and the gym is accessible for disabled users, with changing facilities that include disabled access, as well as team changing and separate areas for referees. Hair dryers and straighteners are supplied in the changing rooms, and refreshments are available in the foyer. £19.99 ...monthly membership starts from £19.99 for students, £20.99 for staff and £24.99 for the public. Parking is free. The centre is open to Birmingham City University staff, students and the public. Its flexible payment scheme means that people can sign up a cheap six or 12-month membership or pay a small fee per visit or per class. 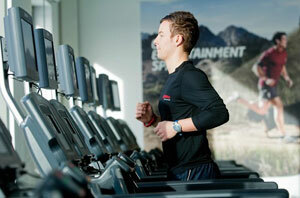 A single class or unlimited gym session costs just £3.75 for staff and £3.00 for students. Prices are slightly higher for the public. The gym is operated by Serco Leisure along with the University’s £4.3 million leisure centre, the Pavilion, which is also located in Perry Barr. For more information, call +44 (0)845 267 1192 or go to the Doug Ellis Sports Centre website.